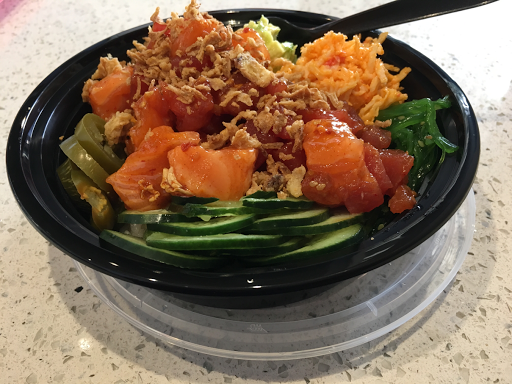 Has lunch recently at the new Oke Poke restaurant in the Pavilions shopping center at Foothill and Myrtle. Got three-scoops of raw tuna and salmon in a kimchi sauce on white rice with various toppings for $9.95. Very good!